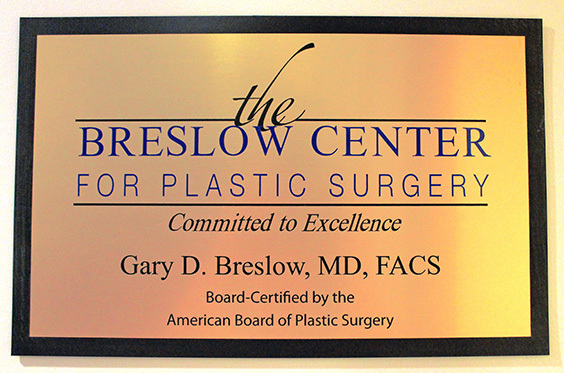 Founded by Board-Certified Plastic Surgeon Dr. Gary D. Breslow, The Breslow Center For Plastic Surgery offers a complete range of plastic surgery services, all in a warm, comfortable, and relaxing environment. In addition to the wide range of surgical options offered for the face, breast, and body, Dr. Breslow and his dedicated staff also offer minimally invasive facial fillers, Botox and lip augmentation. The Medical Spa, which utilizes the most up-to-date and cutting edge technology available, is specialized in noninvasive facial rejuvenation and skin care treatments, hair removal, spider vein treatments, and cellulite treatments. Dr. Breslow spends extensive time focusing on each patient’s concerns and goals, utilizing the most sophisticated 3-dimensional imaging technology available to better understand what each patient wants to achieve. He is also known as a down-to-earth, caring surgeon who separates hype from reality and explains all available treatment options in detail. Scroll through Dr. Breslow’s many reviews to see and hear what patients are saying about their experience at The Breslow Center, and visit our Before and After section to see the beautiful, natural results that we have achieved for our patients. 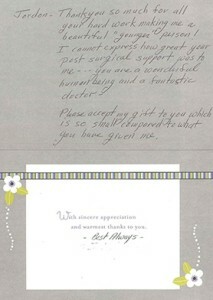 We look forward to you becoming a member of our family of patients!